Gosford Waterfront family carnival opening nightly from 21 December 2018 until 26 January 2019. 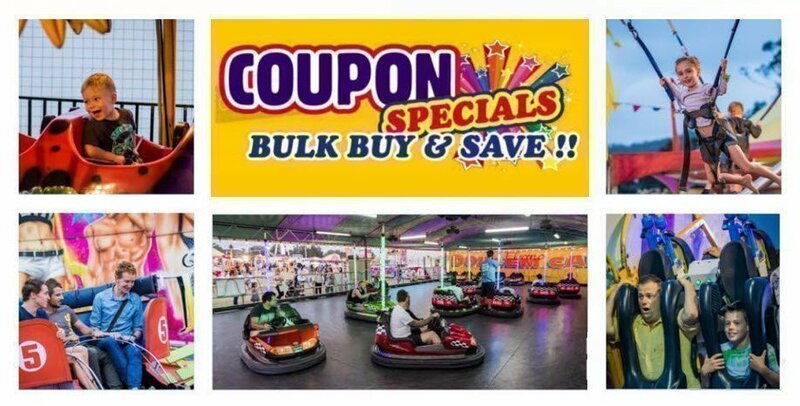 Enjoy a huge range of the latest rides, games and entertainment. FREE ENTRY. This is an alcohol free event. - ¹ WEDNESDAYS ONLY 6.30pm-9.30pm: RIDES WRISTBAND tickets are ONLY valid on a Wednesday for a single night entry, and are only valid from 6.30pm-9.30pm. After 9.30pm rides must be purchased as normal. Ride wristbands can be picked up from 5.30pm on the chosen Wednesday. - Opening times subject to weather. - Ride Coupons are valid on ALL days of the carnival.